I haven't had a chance to update much on erode stuff - even some positives. I just wanted to share the current "state of erode" and let others chime in as well. 1) The lateral force update after nationals has been HUGE. We are now able to get braking bumps into corners without funneling guys into 1 line and leaving the option to enter turns at any angle. 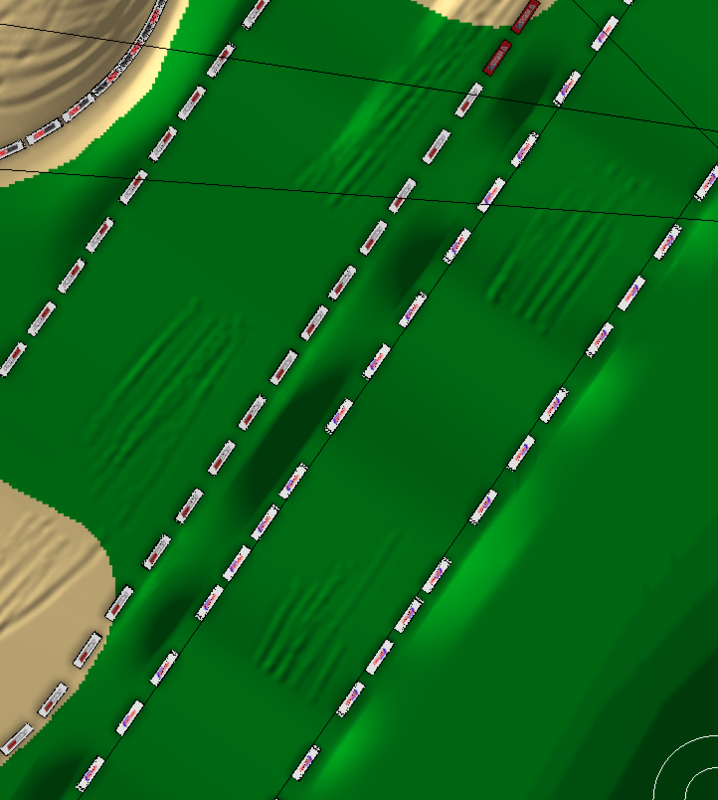 Also, we're able to get ruts leaving the turns and although not as much as I'd like, multiple lines. 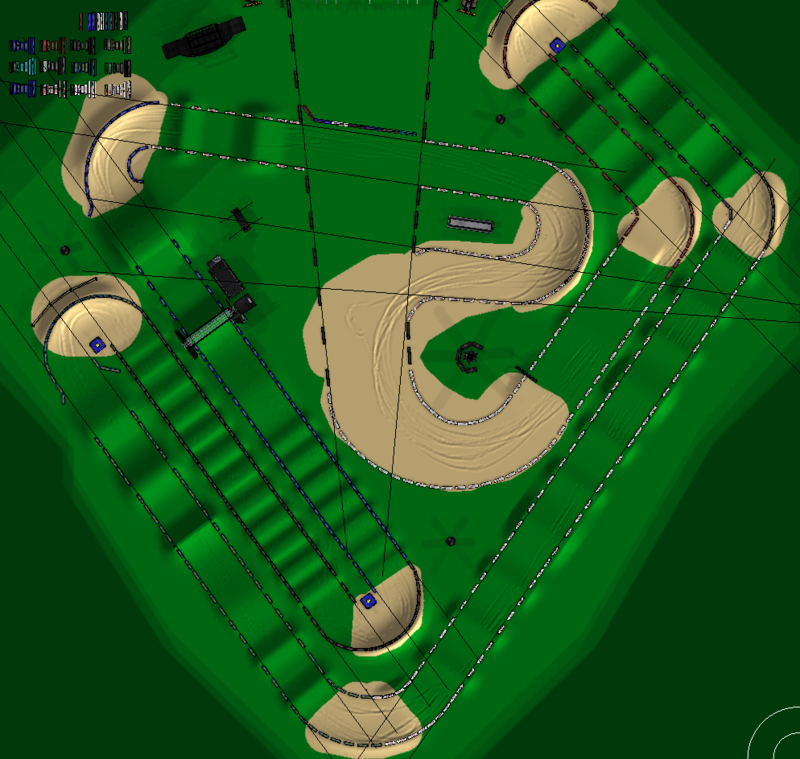 More than anything, the turns are now raceable versus funneling into a giant tunnel. I think this will really excel outdoors. 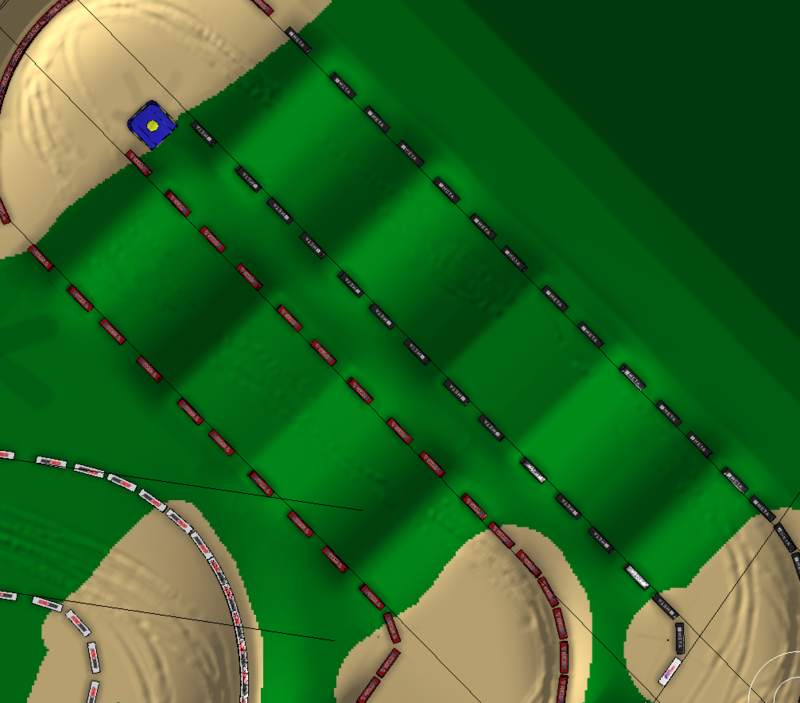 2) Normal maps vs erode visibility - Tonight's Jerry Robin Cup track was the first time I've used strong normals in a long time. They were "fine" or "tight" and did seem to play well and maybe even help visibility. Thanks for the tip on that and I'm sure the good decal guys can really use this to exploit visibility. It's still not perfect, but does help. 3) Rhythm/Jump face ruts - We're using them with success. Kickers form in spots, but nothing too crazy. We're definitely getting rutted jump faces. 4) Corner erode painting - We've pretty much allowed lateral erode only on the last 25-35% of corners, the entry is just left very open. After researching a lot of IRL supercross, it seems pretty accurate and seems to be a good solution for racing/realism and plays nicely. 5) Flat straight chatter or corners where the isn't a clear "direction" or single line (open 90 degree corners after whoops before triples or finish lines are bad or double apex 90's like on either side of an over under) is still a pretty big concern. A lot of this is visibility related and the impact of crossing multiple ines never really allowing a line to form up. All in all, it's much better than it was a year ago. I dialed it back about 50% before tonight and can dial back even further, but it's definitely close enough that I'm comfortable racing on it. Visibility and the drawing in glitch are still very hopeful things I'd like to see improved. On the drawing issue, I've always had reshade on 0, but still had that issue. To me it seems like the drawing is like a lod file, appearing when you're x distance from it. Perhaps we could have a slider for that too, to increase the distance for us that has more powerful computers? I'd like to have it 3x from what it is now, so if it is 50ft now, 150-200ft would be nice. I usually never have frame lag, even on outdoors, but last night I did too, had to turn down my settings a lot and it was still rather laggy. Re: lateral force - I'm glad it helped! Re: visibility - Glad that helped as well. Might make a good case for the extra light source that Jeremy did the proof of concept render of. The normals would catch more of the extra light source. Have to weigh whether extra lights are worth adding as a stop-gap or if I should just go straight to a diffuse environment map. Re: drawing glitches - Looks like it has the higher level of detail rendered but not the lower level, that's why it's popping in when you get close. Right now it only updates one tile per frame. Normally that works well and keeps the frame rate steady, but with erode continuously invalidating tiles it can fall behind. I'll add a setting to optionally render more tiles per frame. Really glad to hear some of the updates helped. I was feeling like I was making a lot of changes and getting nowhere with it! jlv wrote: Re: drawing glitches - Looks like it has the higher level of detail rendered but not the lower level, that's why it's popping in when you get close. Right now it only updates one tile per frame. Normally that works well and keeps the frame rate steady, but with erode continuously invalidating tiles it can fall behind. I'll add a setting to optionally render more tiles per frame. Would having the Ground Geometric Detail too low cause this? I raised mine up from 20 to 35 last night and my problem went away. Just trying to provide more intel to not send you searching down a road that there is a different fix out there for. It's definitely still a work in progress, but compared to where it was a year ago we're light years ahead. I have had mine on 90 for the last few years, but I still have that issue. Probably just a coincidence. 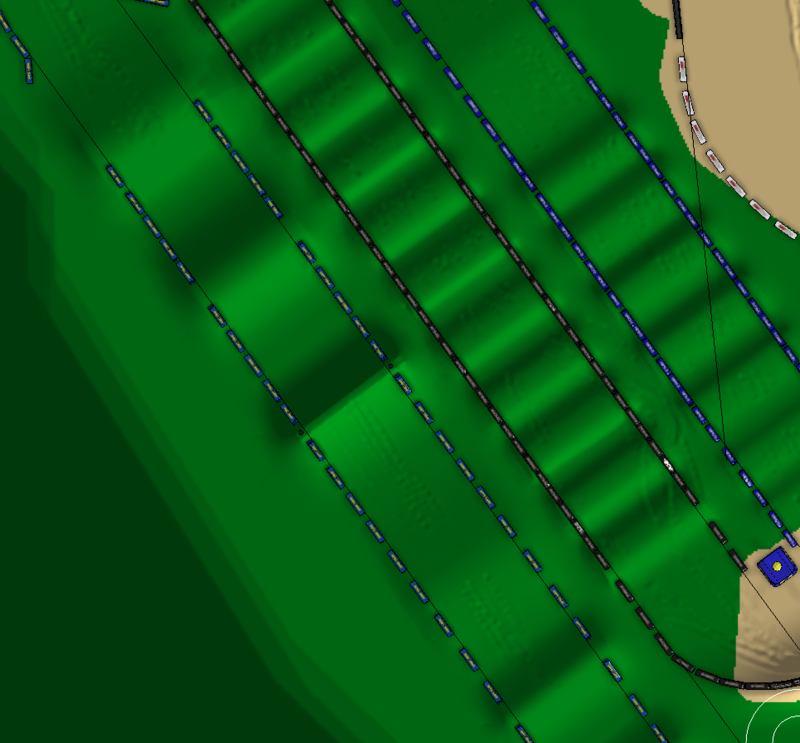 That controls tessellation detail which is separate from the texturing. 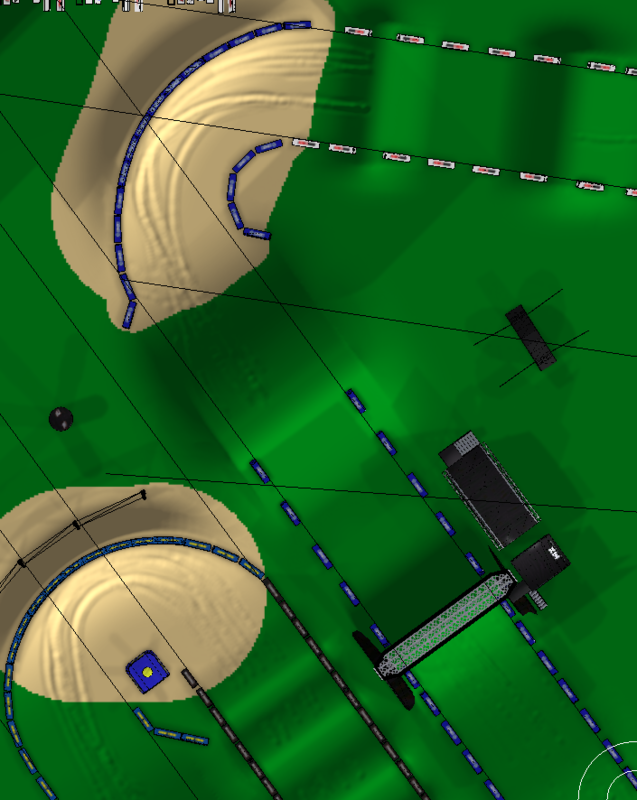 Reducing "Ground Texture Levels" would help since it would reduce the number of tiles that need redrawing. - The way the terrain grid is created, could this cause a problem or significant difference on how ruts form (specifically in straight lines on jump take offs and such, not as much corners because there you are always crossing the grid?) Reason being, we had an AUS SX round where the jumps barely eroded using a setting we've tested, but only tested on my PS tracks with mostly straight straights, where the AUS SX ones were built at an angle instead of straight along an axis. 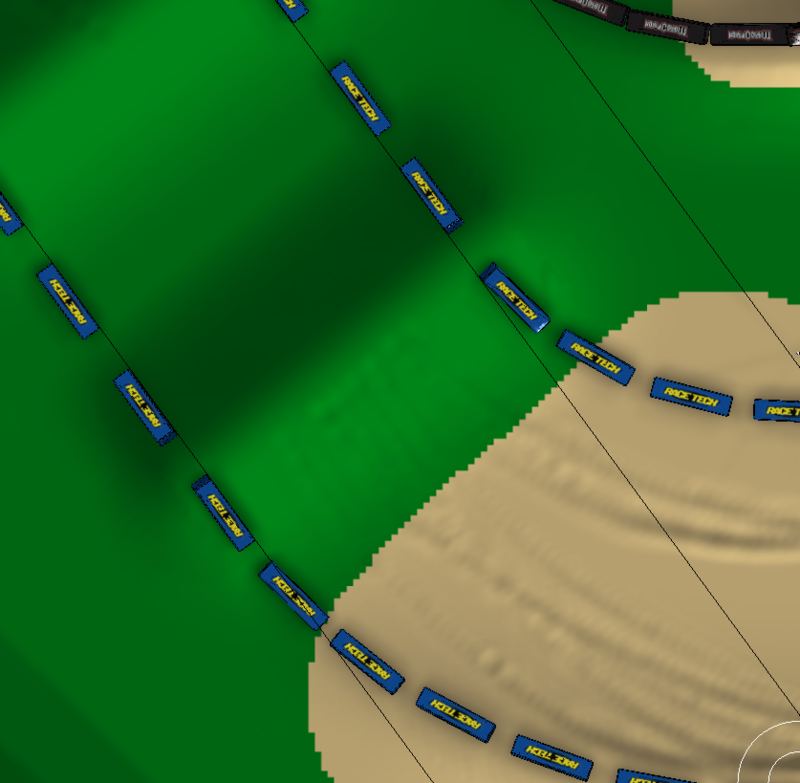 Just want to be prepared as we'll be starting SX with angled baseball layouts that most straights won't go along an axis. - Definitely noticed a massive difference going from above a 1.2 scale in terrain.hf down to below .7 in visibility of erode. Makes sense, but just a note and something we'll need to keep in mind moving forward. But how does lag play into erode and where/how it is drawn? If guys are skipping around, is that playing into causing more chatter? You guys should also do kind of like real life as well where the west coast tracks are more hard pack and faster, and the east coast tracks more rutted and technical. Would be sick. FlyinHigh wrote: You guys should also do kind of like real life as well where the west coast tracks are more hard pack and faster, and the east coast tracks more rutted and technical. Would be sick. Definitely in the plans. We've been testing "worst case" East Coast/Seattle type settings, but definitely would like to have some variation round to round. Also want to avoid having anything too extreme as well. There could be artifacts that want to align with the world axis. Probably more likely when the erode radius is only a few terrain pixels wide. Kind of like when you paint with a really tiny brush in a paint program. checkerz wrote: But how does lag play into erode and where/how it is drawn? If guys are skipping around, is that playing into causing more chatter? Erode packets are considered "reliable". Meaning the game will resend them until they get through. So if someone is dropping a lot of packets they should have the same effect on the track. If the packet loss is bad enough, their client will be generating new erode packets faster than it can send them, but that wouldn't cause chatter, the client would just stop having any effect at some point. I think I came across an issue we saw a bit before and couldn't pin point again tonight while trying to create some mud traction/erode for fun. If you look at the pictures below, you'll see the same setting at certain angles eroding as expected making actual ruts and being pretty substantial (I have erode turned up to 4.0) and then at other angles it's not eroding nearly as much and is leaving a series of dots instead of a rut. This is the San Diego displacement exactly if you wanted to see more as far as jump shapes and such. Throttle/speed/jump shape doesn't seem obviously different in these areas. Perhaps a bug causing this? Are they around two feet apart? The game merges erode entries that are within a foot to save bandwidth. It usually averages out but at a high erode setting and small radius if they lined up the same way on consecutive runs they could reinforce instead.